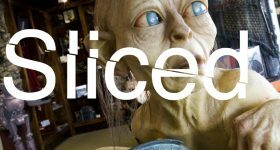 What would happen if you pit similar 3D printing services against each other? Where do I find good models to print? If you search the internet, traffic rankings via SEO optimization pretty much determine what company and, therefore, which service will pop up first. Ubiquitous and ever-present advertising persuades consumers to choose one service over the other. If you are cautious, you can find and use websites that provide relatively reliable peer review, but again, all of this packs the minutes into a search and figuring it out is like running a gauntlet of “selling the revolution” advertising. Maybe if the messages weren’t so mixed or coated in smoke and mirrors hype from technology journalists, people who were genuinely curious wouldn’t be turned off by the confusion of marketing, ads, and an overabundance of similar services. I suppose you could call the time we are in right now a phase marked by growing pains, now that the hype is becoming harder to prop up. 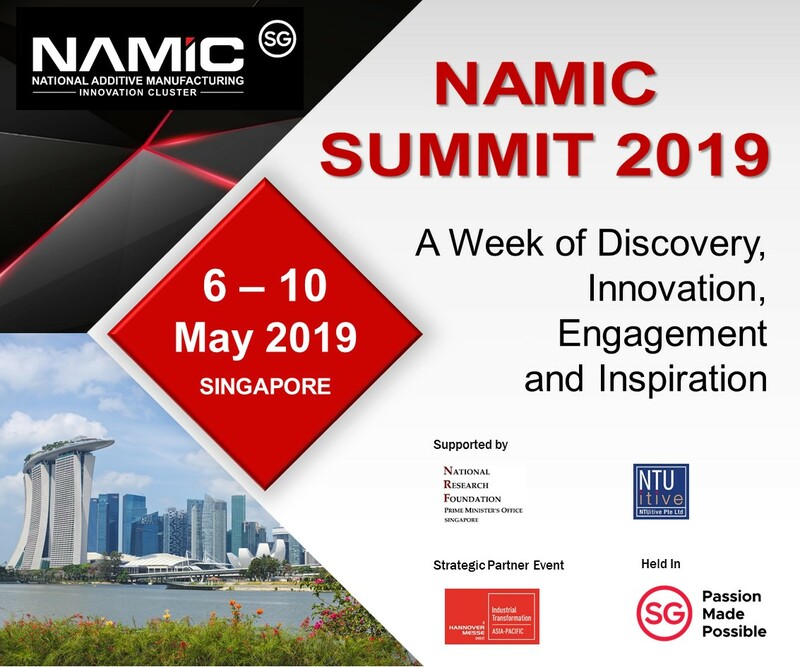 I think it’s up to technology journalists (when they are ready, willing, and able) to help people foster a genuine curiosity and help them sift through the hype; deconstruct SEO, marketing, advertising; and go through a sea change in how we approach reporting. One of the areas most in need of this type of analysis is 3D file hosting services. 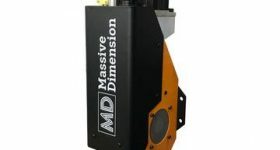 There are a countless amount, and they all offer different twists to the fact that they host 3D files online, which you can download and then 3D print, or order them through a service. What I want to do is take a giant, like Makerbot’s Thingiverse, and a smaller, but thriving service like Pinshape and compare the two. Both Pinshape and Thingiverse support free design distribution on their sites, the benefits of which are probably obvious. Pinshape allows designers to upload their work and sell their digital designs for profit. If you are a consumer making a decision, this could be a bad thing. 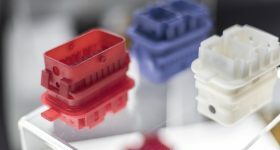 But designers who are interested in making their work available for 3D printing might be attracted to an opportunity like this, and it could also turn a hobbyist designer into a professional because they may want to put more effort into fashioning higher quality files, in the hopes that people will want to buy them. We know from the habits of internet pirates, that a lot of people will search the whole internet for a free version of anything, but if they can’t find it, they might pay a nominal fee if the desire is strong enough. There are also consumers that will support artists, as long as the price remains relatively low. Free can be good, but it can also clutter things up with copies and low quality files. Thingiverse accepts more file types (19 in total), while Pinshape accepts only 2. The two file types accepted by Pinshape (.stl and .obj), however, are the most common file types associated with 3D printing. And, while Thingiverse offers wide file-type support for more general Makers, the designs listed on Thingiverse can be frustrating if you’re looking to find things to click and print. Why? Not all of them actually have any 3D printable files attached, so you waste time. 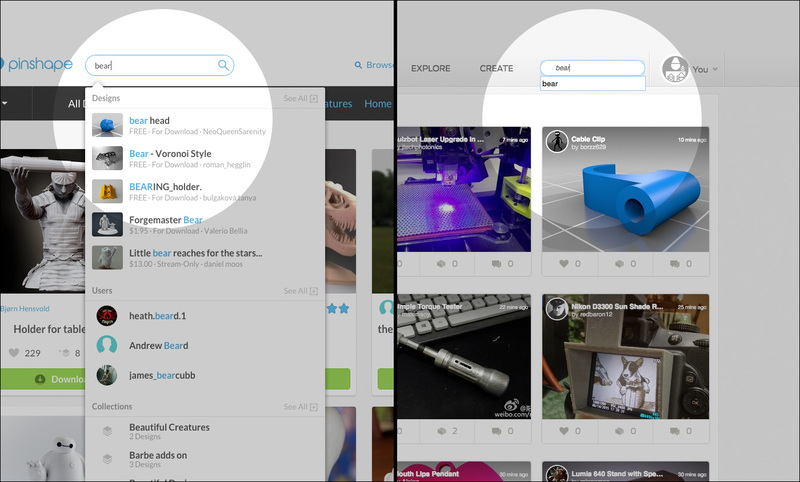 Thingiverse and Pinshape have similar search capabilities (designs, people, collections can all be searched), but the advanced search options for Pinshape are more extensive. Pinshape allows users to filter by whether or not the file is downloadable or streamable, by designs with printed examples, and even by designs that have been printed on specific printers. On both sites, the search algorithm includes designs by specific designers and by design tags. 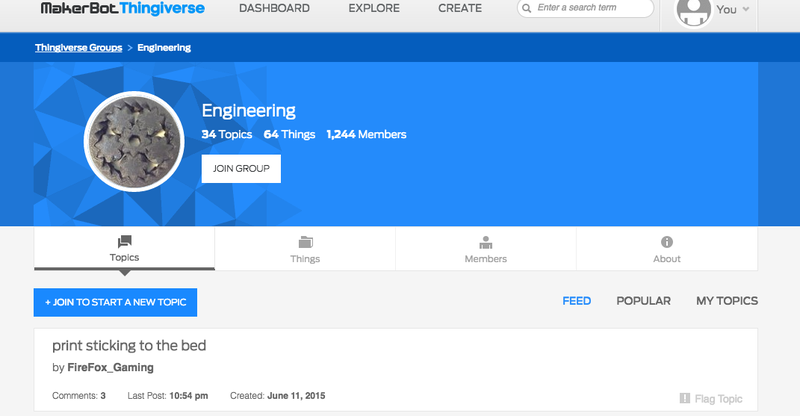 On Thingiverse, users can self-organize into groups by creating or joining a topic they are interested in. This lets people share designs and thoughts with like-minded people. On Pinshape, there is no group functionality, but users can create threads in the Pinshape forum about any topic or issue they have. 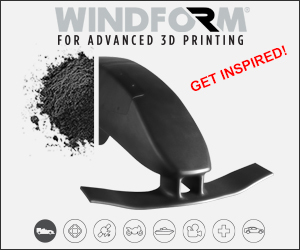 Both Pinshape and Thingiverse allow Makers to upload the results of what they have 3D printed. On Thingiverse, this strictly includes pictures and descriptions. 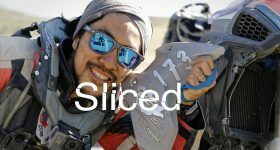 Pinshape users can share much more info, with dedicated inputs for slicer settings, which printer was used, which filament was used, and, importantly, a review of the design’s printability. Though Thingiverse users can write all of this information, Pinshape’s feature seems geared at giving users more direct access to the hive mind and shared experiences of the Maker community. 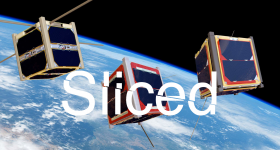 Pinshape offers a streaming service to its users, powered by 3DPrinterOS. Thingiverse does not. 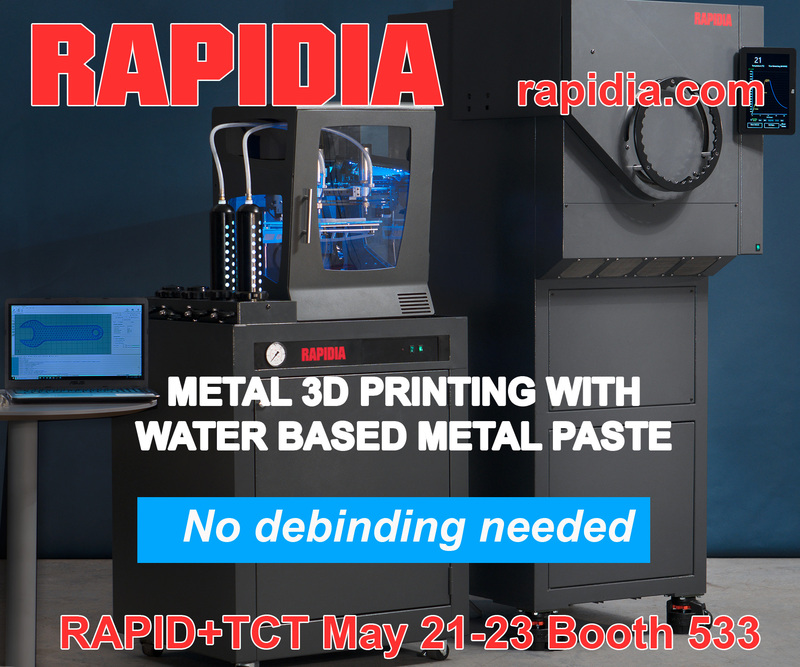 The streaming service allows makers to find a design, choose their slicer settings and send the job to their printer, all without leaving their browser or opening the files in other programs, which is obviously a faster way to start printing. For Pinshape’s designer-centric ethos, this feature helps to protect a designers source files, decreasing the likelihood that their intellectual property will be stolen if they are interesting in protecting it, which, of course, not all of them are. 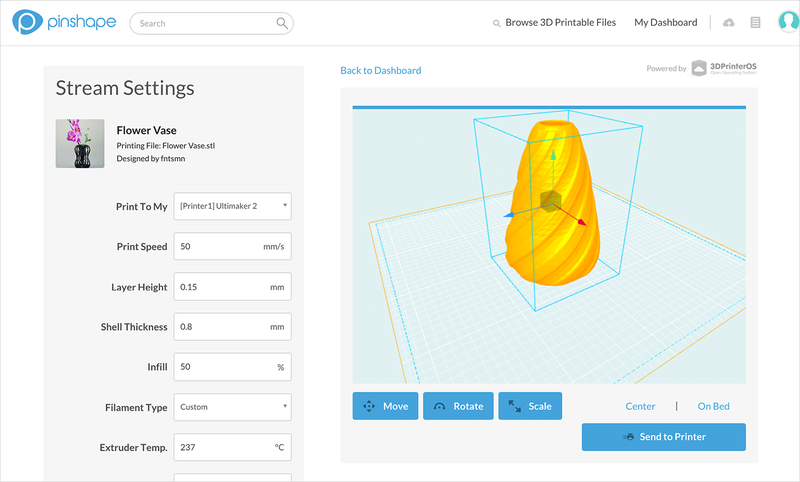 Thingiverse has a customizer that allows Makers to modify specially created design files directly in the browser, without the need for additional 3D design software, while Pinshape does not. The customizer is a very good and intriguing option for newcomers, but it has an adverse effect on Thingiverse: many users post designs generated from these customizers and post them as their own designs, so a lot of designs end up with very similar characteristics. Thingiverse is owned by Makerbot, which was acquired by Stratasys two years ago. 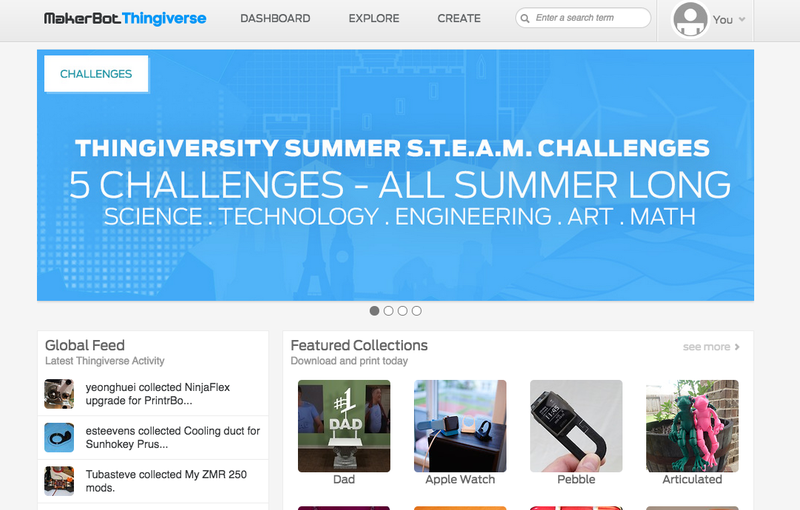 Thingiverse has an obvious and vested interest in promoting its own hardware. Fine. Two choices: Makerbots or Stratasys printers. Ok, it is what it is. Acquisitions happen. 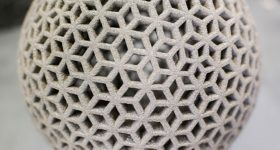 Pinshape is independent of any 3D printer manufacturer, which gives them a better shot at focusing on a more realistic cross-section of the 3D printing community experience. Pinshape is free to take feedback from their users without having to create a narrative around it’s own printers. 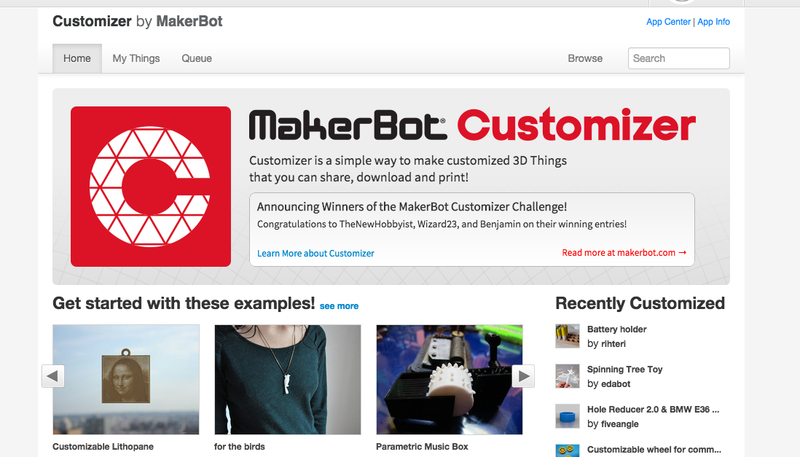 Both Pinshape and Thingiverse run various contests for Makers and designers. The prizes offered in Pinshape contests are definitely more varied because they are free to work with all sorts of manufacturers. 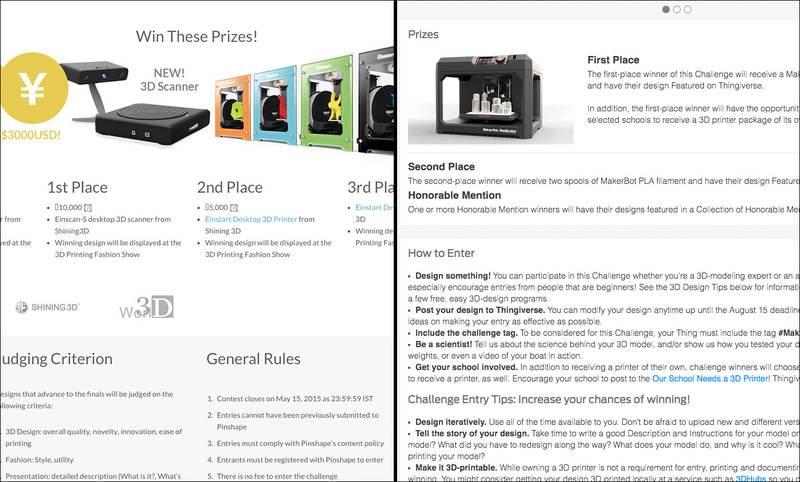 Typical prizes on Thingiverse are MakerBot products, which is fine if you are a fan. Pinshape has had a wide variety of options, which is probably because they a greater ability to be receptive to community feedback without having to filter it through one company’s hardware. Pinshape has had contests offering product royalties, job interviews, printers from various companies and the opportunity to design products for major brands. You understand and agree that Pinshape is not a party to any agreement, nor do have an ownership interest or right to control any intellectual property of our Users. Pinshape is a marketplace that facilitates transactions between users. We don’t take an ownership interest in your Content beyond the limited license you grant us for purposes of this Service. This is the License that users provide us with respect to using their content – Grant of License to Content to Pinshape. You hereby grant, and you represent and warrant that you have the right to grant, to Pinshape, an irrevocable, nonexclusive, royalty-free and fully paid, worldwide license to reproduce, distribute, publicly display and perform, and otherwise use your Content, and to grant sublicenses of the foregoing, solely for the purposes of providing our Services. You hereby grant, and you represent and warrant that you have the right to grant, to the Company and its affiliates and partners, an irrevocable, nonexclusive, royalty-free and fully paid, worldwide license to reproduce, distribute, publicly display and perform, prepare derivative works of, incorporate into other works, and otherwise use your User Content, and to grant sublicenses of the foregoing, solely for the purposes of including your User Content in the Site and Services. You agree to irrevocably waive (and cause to be waived) any claims and assertions of moral rights or attribution with respect to your User Content. 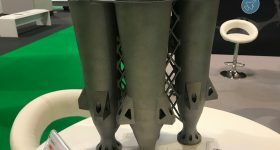 Both Pinshape and Thingiverse allow designers to offer their work with a wide range of licenses. Both site share the option for numerous Creative Commons licenses, with Thingiverse offering the addition of BSD and GNU licenses. Pinshape offers an additional, more restrictive license for designers who are interested in selling their work. It restricts sharing, selling, or re-mixing. 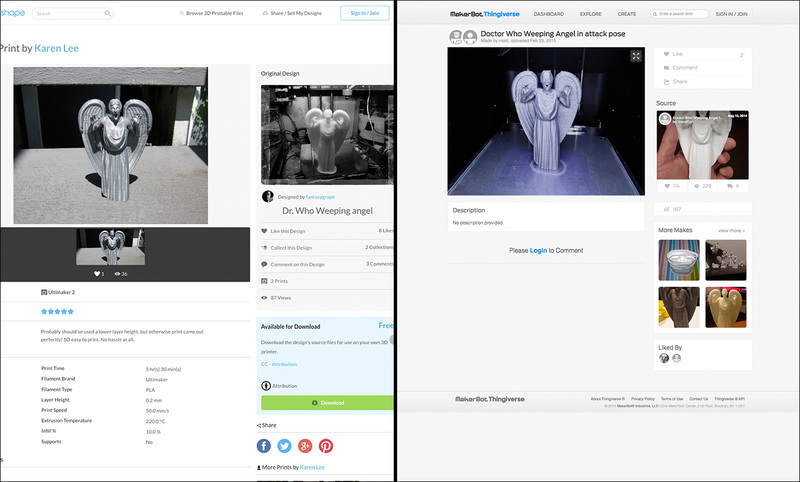 Both Pinshape and Thingiverse allow users to save and categorize designs in Collections for future reference. No difference here. 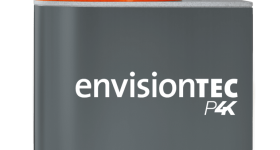 Thingiverse allows the creation and use of Apps, while Pinshape does not. 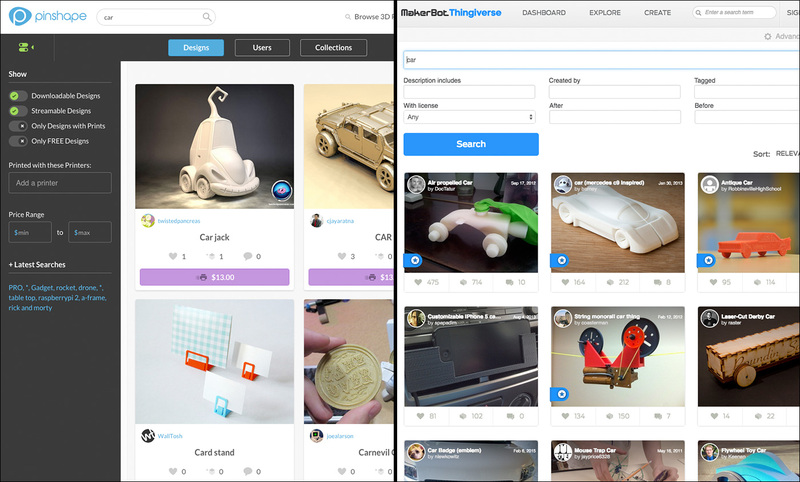 On Thingiverse, designers can create apps that allow the creation and customization of their work. This has its appeal and is fun for designers to see what others come up with, using their original design as a starting point. 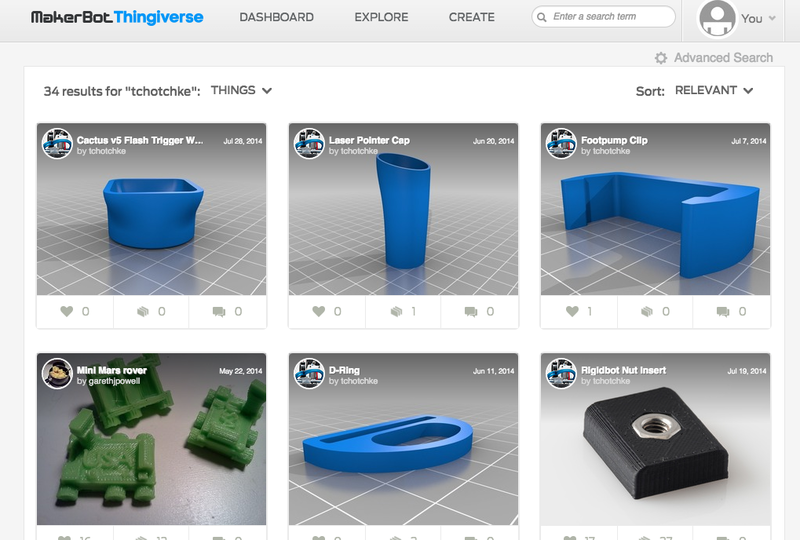 You can send select Thingiverse designs to be 3D printed through 3D Hubs. With Pinshape, you have to download the file first, then upload it to another 3D printing service. Thingiverse has been around for a number of years, and the style of the website is more functional than beautiful. Pinshape seems to focus more consistently on the visual design and feel. But this certainly isn’t important to all existing and potential Makers out there. Let’s get 10 people to volunteer to use both services and give their thoughts and their feedback. Pinshape vs Thingiverse. I know I’m excluding tons of other services, but we have to start somewhere. Let’s have users give their impressions of these two to start. 3D printers and materials are often ranked, but what about every other service under the 3D printing umbrella? 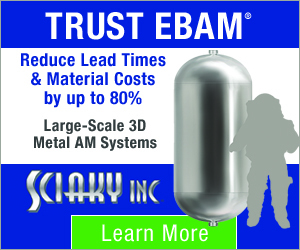 I think this needs to happen with greater frequency as we approach 2016, which is sure to be a tremendous year for 3D printing breaking into mainstream consciousness. For the unsuspecting future Makers, there are either great services that they wont hear about or see, great services that they will be exposed to, or smoke, mirrors, illusions and disappointing hype-traps that will repel and disappoint them. What do you think? If you’re interested in submitting your own comparison, email me at [email protected].